Home Windows Fix there is no disk in the drive error windows XP/ 7/8/10. Fix there is no disk in the drive error windows XP/ 7/8/10. Fix there is no disk in the drive: Well you are reading this post because you are facing this error. There is no disk in the drive is very common error among window users. If you look out for this error on net you can find many solution and causes to this error. But main point is most of them are of no use. After going through many forums I collected some of the best solutions to fix there is no disk in the drive. Although there is no fixed reason what causes this error, but whenever you see the error there is no disk in the drive. Please insert a disk into drive. But most of the times they are related to QuickBooks. QuickBooks are intuits product that are used for online marketing, promotion etc. If you have installed QuickBooks or any extension in pc, you are most likely to get this error. There is no disk in the drive. Please insert disk into drive in simple means there are removable drives installed in your system and they doesn’t have any disk in them. If you are using any removable drive just insert a disk before using the computer. If removable drive is named C. Change the name of the letter to any other. Hope these methods will be helpful to you. Intuit QuickBooks developers have also given some good methods to overcome this error. Change the name of the removable drive. Or you update your windows. Windows up-gradation has worked for most of the people facing this error. Remove or disable unused drives. If you have more than one removable drives in your pc either remove other unused drives. Also instead of removing them you can keep unused disk in other drives. This method involves changing the registry settings in your windows. Just follow the method carefully. Open registry editor. 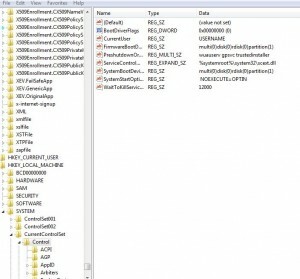 This feature will help you to do editing in your windows registry. Altrernatively search for regedit in search box. Once you have opened regedit you can see computer icon at top left corner. Select computer. Now click on file and select export. This will help you to save registry backup somewhere else. Select error mode. Double click to edit the name. Change the value to 2. Last method has worked for most of the people. Hopefully it will work for you too. I hope after going through all these methods you can fix there is no disk in drive. Please insert disk in the drive\Device\harddisk\Dr1. NOTE: users are requested to use above methods at their own risk. Our site or any third person is not responsible for the damage caused to your system during the process.